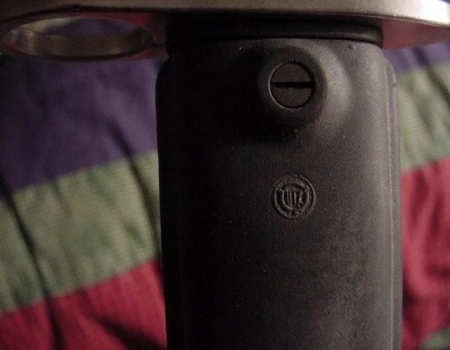 A model 1957 Swiss bayonet. 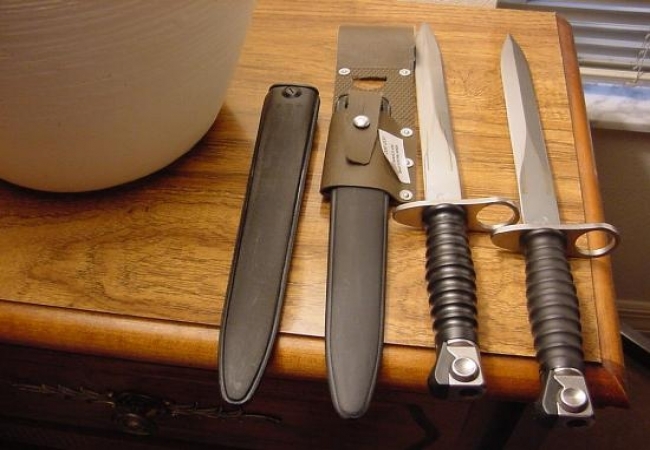 These bayonets are double-edged and unfullered. The blade length is about 9.5 inches, the handle length is about 4.8 inches, giving it a total length of around 14.5 inches. 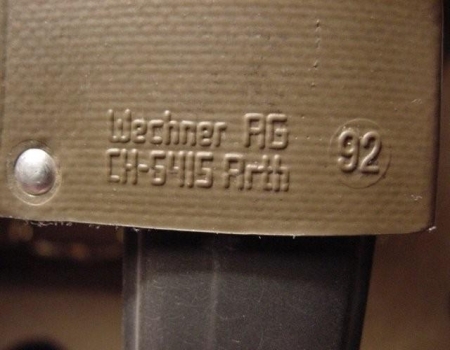 The manufacturer of these bayonets is Waffenfabrik Neuhausen, Wenger. They were originally Issued with the Stgw.57 rifle. 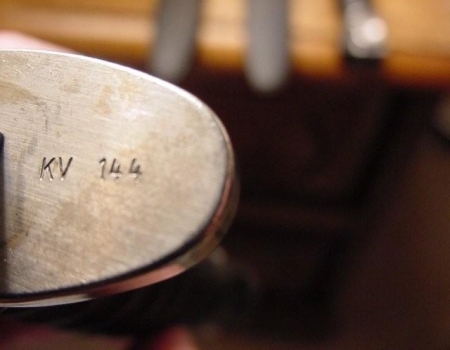 These next two photographs show the markings that are found on the model 1957 Swiss bayonet. 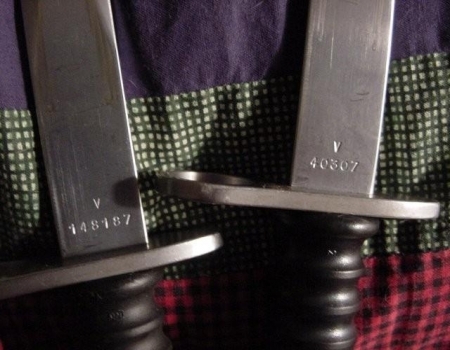 The photograph on the left is a marking that is found on the frog or sheaf that accompanied these bayonets. The photograph on the right is a marking that was found on the bayonet scabbard.